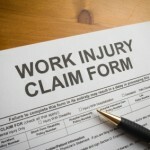 Can I Get Fired for Filing a Workers’ Compensation Claim? Posted in Maryland Law, Successes for Our Clients, Warnken LLC, Workers' Comp. 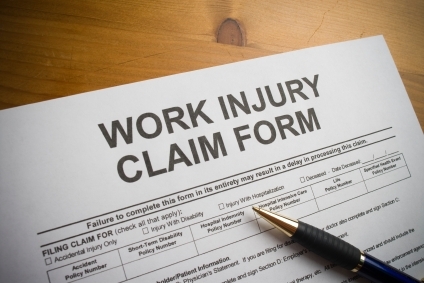 It’s probably the most common question we get asked in our workers’ compensation practice. Can I get fired for filing the claim? Can I lose my job? You cannot be fired for filing a workers’ compensation claim in Maryland. It is against public policy and the employer can be sued for wrongful termination if you get filed for filing a claim. However, it’s important to realize that statements, writings, or undeniable circumstantial evidence must exist to prove that the firing was because of the comp claim. Without the termination being because of filing the claim and proof of this fact, it is tough to win a case for wrongful termination. It’s also crucial to realize that just because you file a workers’ comp claim doesn’t mean the employer needs to keep your job open. In other words, you can be fired for numerous other reasons not directly related to the comp claim. If you are physically unable to perform your job, the employer is not required to keep that job open for you. There are other laws that come into play, such as the Family and Medical Leave Act, commonly known as FMLA. However, FMLA, does not apply to many small employers. Claims filed against their comp policy can increase the premiums the employer pays on their entire payroll. Do employers care about anything other than money? Trust me, it’s #1. If you file a workers’ compensation claim, it’s possible you are contributing to future rate rises in the employers workers comp policy. But here’s the rub: If your workers’ comp injury is serious, the employer has already “filed a claim.” If you are going to have $5000 or $50,000 or $500,000 in medical bills and other comp expenses, why would the employer pay for it themselves when they already have comp insurance. The future premium hike might be tiny compared to what they have to pay out for your serious workplace injury. What Does it Mean to File a Claim? It’s important to understand what it means to have me, the workers’ comp lawyer, say what it means to “File a Claim.” I don’t mean with your employer or with the insurer. I mean with the Workers’ Compensation Commission of Maryland. When that official claim is filed, your rights are preserved and you have a forum for arbitrating disputes. The employer has likely already filed their own version of that claim, in the form of employer’s first report. If the employer has already referred you to their workers’ compensation insurer, this form has almost certainly been completed. Moreover, once you have gone to the insurer, the employer’s reason for not wanting you to file a claim is gone. The claim has already been reported to their insurer. It’s only about the money. Therefore, if your employer is simply small, or misinformed, or corrupt, they might be vindictive about you filing a claim and want to fire you for it. However, an employer like that is only going to screw you over at any turn anyway. If your employer is larger, better informed, and generally a follower of the law, then they understand that workers’ compensation is an unfortunate fact of life and an unfortunate part of the workplace. While the company may not like high workers’ compensation costs, they don’t begrudge you filing the claim. In the majority of circumstances, they have already done it themselves. It’s a Big Decision. For You. Filing a comp claim is not filing a lawsuit. You aren’t hauling your employer into court. You are simply formalizing the process that’s already happening and preserving your rights. Again, the employer has probably already done so for their benefit. Nonetheless, it’s a big decision for you. You are nervous. You are concerned. You are hurt. It’s a big decision. For you. It’s not a big decision for your employer. It’s paperwork to them. And it’s not a big decision for the comp insurer. You’re just a file and a number to them. I’m more than happy to speak with you about your situation specifically. I will warn you, however, I’m going to try to talk you into filing a claim. I want you to file a claim with the WCC even more than I want you to hire me. Mostly because when you come back to me in three months or six months or years – when the process starts screwing you over – I don’t want the process to be delayed.